I've just started putting together a design and I've a few questions which should be pretty easy to answer. How do I trim a circle to create the ends points as the tangents with other circles? Can I create an ellipse that is tangential to two circles and a line? to trim by tangential points could be tricky. It may help to draw a construction line (say, by linking the centers of the two tangential circles), and trim by line. "create an ellipse that is tangential to two circles and a line"? To me, this is not a simple question at all. Given 2 circles and a line, there could be as many as 4 possible common tangential circles (which are tangential to the 2 given circle and the given line). Now, consider a tangential ellipse, instead of tangential circles, there are two more degree of freedom (say, the eccentricity and the orientation). Therefore, there are always infinite number of tangential ellipses, if there's existence of one tangential circle. So I have an arc attempting to connect the two circles and the 73deg line, and I'd like to be able to adjust the oval's orientation to get the desired curve - then trim down the curve so that it ends at the tangent point against the middle most circle. Any advice on getting this curve to meet the straight line and the two circles? You can draw a tangential circle given (2 circles + 1 line). At each step, you can select either a line or a circle. This "3 Circles" could be buggy due to limited robustness of our equation solver, but we can keep improving it. This "3 Circles" could be buggy due to limited robustness of our equation solver, but we can keep improve it. To unsubscribe from A few simple questions, click here. One other question, I can't parallel line an ellipse - but it will parallel line a curve and a circle. Any thoughts on what I've missed? I just fixed some failure cases in "Draw tangential 3", and you should be able to draw a tangential circle, given (two circles, 1 line). Could you explain how you got a tangential ellipse for (two circles, one line)? Through cheating unfortunately. hopefully the image shows clearly where I've place my points having used the end of line and entity snaps, then I've just stretched the ellipse until it is effectively tangent to the line. It would be nice If I could have the edge of the ellipse snap to the line but it's accurate enough for my needs. 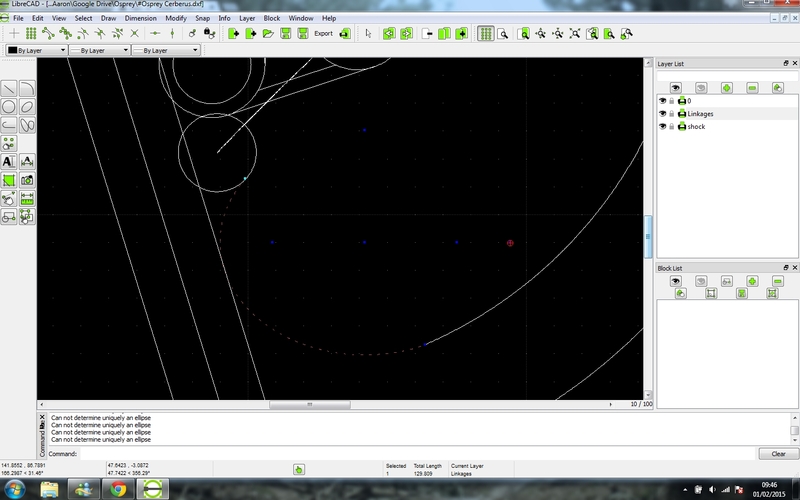 Libre cad is reporting that it cannot 'uniquely determine an ellipse', or part of an ellipse to allow me to create a parallel line. Is this expected behaviour? do you mean drawing a tangential line of an ellipse, passing a given point?